It is being reported that Metal Gear creator Hideo Kojima will be parting company with Konami after the launch of Metal Gear Solid V: The Phantom Pain. Tongues started wagging after Konami removed the Kojima Productions name from Metal Gear Solid V press material. 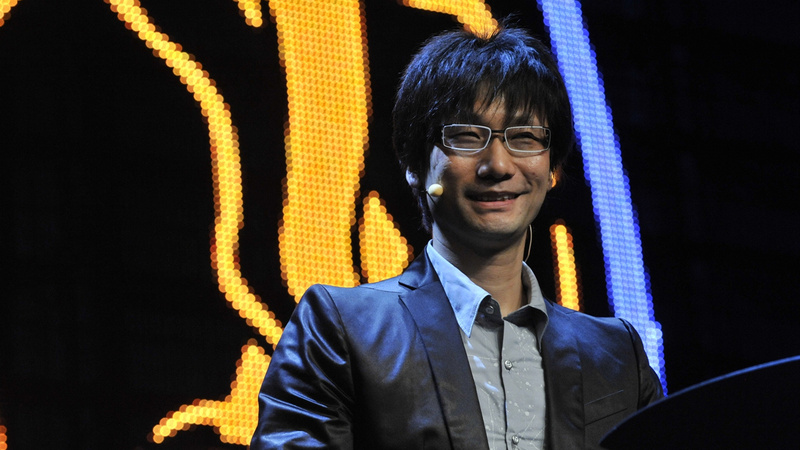 Kojima's name was also absent from an updated list of Konami's executives. Konami has also removed Kojima Productions branding from Twitter, the Metal Gear website and its LA office listing. According to an internal source speaking to Gamespot, power struggles between Kojima Productions and its owner Konami have resulted in staff being put on a media blackout, with restricted access to email, internet and telephone. It is understood that Kojima and his staff will now be restricted in their promotional activity for the upcoming title. Konami has also taken the drastic step of turning Kojima Productions staff - including Kojima himself - into external contractors rather than permanent employees. Rumours suggest that once the next game is finished, the entire team will be disbanded. After we finish MGSV, Mr. Kojima and upper management will leave Konami. They said their contract ends in December. At a team meeting, Mr Kojima explained that team have to be one and make a good game for fans. As we have already announced, we are shifting our production structure to a headquarters-controlled system, in order to establish a steadfast operating base capable of responding to the rapid market changes that surround our digital entertainment business. Konami Digital Entertainment (including Mr. Kojima), will continue to develop and support Metal Gear products. Please look forward to future announcements. Metal Gear is arguably Konami's biggest franchise, and losing the man who made it won't stop the publisher from making new titles under the brand. A press release on the company's Japanese website signalled the intention to create a totally new Metal Gear series, and the company is also staffing up to achieve this goal. Kojima joined Konami in 1986 and would work on Metal Gear the following year, producing the game for the MSX system. A NES port - created without Kojima's involvement - would appear later, launching in North America in 1988 and bringing the series to the attention of a whole new audience. Kojima would create other titles - such as Snatcher and Zone of the Enders - but Metal Gear remains his most famous achievement. 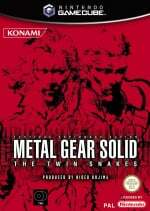 Although the latest entry isn't coming to a Nintendo system, Metal Gear Solid: The Twin Snakes hit the GameCube back in 2004 and more recently the 3DS was gifted an updated version of Metal Gear Solid 3: Snake Eater, widely considered to be the best instalment in the series. Kojima does amazing work, but today's Konami is everything but the stellar company that provided me with such amazing experiences during the 8 and 16 bit era, now a mere shadow of it's former self with but three franchises: "PES", "Castlevania" and "Metal Gear". I wish all the best for the rest of his career. It had a good run before turning into Konami's other franchises. Konami has done what Nintendo is suggesting it wants to do. That looks like a pretty similar concept to QoL to me. well I wonder how long Konami has left, if Kojima leaves I give them 3 years tops before they just tank, the company can't sustain itself on crappy Yugioh games forever. I can understand if he does leave. But what will become of Silent Hills? Also, MGS V looks freaking incredible! F-Zero Origins: Rise of the Falcon. A Hideo Kojima game. Make it happen Nintendo! Gambling / Health / Mobile why do they need more than that. I doubt I'll be bothering with Metal Gear beyond MGSV, then. For the best! Would have loved another ZoE but if Kojima stayed, he'd do nothing but MGS. Time for something new. Is this really that relevant to the Nintendo fanbase? We haven't seen a MGS game on Nintendo systems since 2011, and that was only a remake. Welp, if Kojima's leaving, it looks like it'll only be a matter of time before Konami bites the dust. Aww. Dear god. This makes me very sad. Kojima wanted to do different things, Konami just wanted more MGS. Metal Gear is everything to Konami. Seriously, on Konami.com under the games menu the options are to view Metal Gear Solid games alone or all Games along with Metal Gear Solid. But what about Silent Hills? I guess he will do his own studio (named after him, of course) and develop a new IP that is technically MGS, a la Mighty No 9 or The Evil Within. Yes he now needs to go Indie and create for every console and mobile. I wonder what decisions they'll make now that their creator is gone. Maybe they'll pull a SEGAxGameFreak. It's Kojima, I don't believe it before I literally see him releasing independently developed smart phone games about being a sentient ham sandwich at the UN diplomats' convention. Aw. But this is just a rumor, right? Let's not jump into conclusions, then. If this is just a rumour, I'm not going to believe it unless it's confirmed. Considering Konami has removed Kojima's name from all of the promotional material for MGS V as well as on the pictures for older MGS games on the series's website, I'd say it is a pretty good indicator that this rumor is true. Oh, and Konami is hiring for a "new Metal Gear series." If this is true then I won't be excited for any new metal gear game and I'll wait for reviews before I decide to play it which will be a sad thing to do because it's Metal Gear. If Kojima himself personally picked someone who he felt would do a good job with the Metal Gear series then I would be more accepting of a new Metal Gear game. Metal Gear will never be the same without Hideo Kojima. I hope for the best for him and that the future brings good things for Mr. Kojima. Konami made it a bad habit of always depending on him and always depending on Metal Gear. Good luck surviving on PES alone, Konami. Jesus, everybody is crying and whining about this dude. Even Nintendo fanboys (whom he crticized and ignored) are crying for him! I never liked this dude and his arrogance disguised as humility. He is a broken filmmaker that ended up making pseudo-videogames and only had success because in the PS1 era, the only way to make games was making interactive movies. MGS is an overrated gem. Dumb story, boring gameplay, clunky pace. if the MGS games were movies they will be on par with Michael bay or Uwe boll's works. If there was justice in this world, he would end up serving fries in a Mcdonald's or making artsy stupid movies that nobody cares. And I don't get why we have to know about this dude in a Nintendo news website? he has ignored and dismissed nintendo fans for decades. Have some dignity people! Sounds like he's pulling a Sakurai... "in", but not "a part of per se", the parent company. Just collaboration. Who gives poopitypoop, they or then or he is not making games for nintendo! I won't be purchasing any Metal Gear games after The Phantom Pain. This game looks to be the swan song this legendary franchise deserves, and Konami is only going to run it into the ground without Kojima at the helm. I do worry about Silent Hills, though. Hopefully that project doesn't get canned. @minotaurgamer I agree wholeheartely. I never see this hype towards the man. His games aren't bad, but they are certainly not the god-tier games people praise. I mean, Metal Gear series has reached a status where critisizing it is pretty much forbidden. Nothing negative can be said about it without dozen of people jumping at you. That said, I too wonder why this was even featured. To me, Hideo Kojima is nothing short of Nintendo-hating prick, and therefore not on my whitelist. It would be amazing if Nintendo "Snatched" him up for a new division within Nintendo. I wonder if this will impact Silent Hills development. I'm interested in that game. Did you hear that? It's the bells ringing for konami's death. What's with all this "Kojima hates Nintendo" stuff? Some of you guys need to chill the heck out. Nobody is going to maul you for not liking MGS. Don't care about MGS. Do care about Silent Hills. @KodyDawg Yes because he's a very renowned fighure in the industry. He dies consider Nintendo as a viable platform despite what Konami would have to do with it and he has dev buddies over at Nintendo such as Sakurai. Never was there a more over-rated, nostalgia fueled fandom than Metal Gear. Leave Konami and go make ZOE3 already. @minotaurgamer Because he doesn't bring his games to Nintendo isn't reason to piss on him or his absolutely fantastic work. And it's worth making an article. Kojima is one of the best and biggest game designers in the industry. Him leaving the company he worked with for so long is pretty big news if you ask me. Oh God, Konami has gone off the deep end! What's going to happen to Silent Hills? @KodyDawg Kojima is a legend in the games industry. This is big news for the industry as a whole, and Nintendo Life, being a gaming site, is reporting it. Konami owns the rights to MGS and can do what it pleases with it. Despite Kojima's best efforts the franchise outgrew its maker some time ago and no amount of convoluted plotlining and new-modern cutscenery will disguise that. I wish Kojimasan all the best in his future endeavours. He certainly has the nouse to end his career having been known in most circles for more than one IP. Metal gear solid 3 on 3ds definitely wasnt a good experience when it comes to framerate. Lol, I thought I was on the wrong website reading this news. This has bugger all to do with Nintendo! I'm still mad at him for how he treated Hayter. The only thing that Konami can do with the MG/MGS series now is create spin-offs of the other characters since Snake's story has already been told. I don't understand why people hate on the MGS series, It's like a james bond movie directed by john woo or something based on a script by an anime writer. yes it is pulp but it doesn't care. It let's you listen in on conversations about love on the battle field or the sensation of killing a human being while also let you fool a guard with ketchup and hide from wolfdogs in a pee-stained box. I guess I just like hammy, campy stuff. Well if he is leaving nintendo should at least try n get him contracted for an NX launch title or a wii u game to show they're still supporting the console. @McoobabWATP Nintendo's still supporting the Wii U. Don't be silly. You are aware that Microsoft and Sony are working on their next consoles, too, right? Announcing a new console doesn't mean your current console is going to die immediately. Hell, I think the PS3 and 360 are still getting the big AAA games, aren't they? I'm sad that Kojima is leaving. But at least he's still working on MGSV til the end. @kyuubikid213 They also announced new consoles? Kojima to get a game out there.It would most likely have to be a new ip starting from the concept up ,plus if he's unfamiliar with nintendos hardware architecture then maybe a new consoles launch would be a more realistic target.If they DID contract him and they could get a game out for the wii u before the run up to a new console then I'd be delighted.It would show the prophets of doom that they're definately not abandoning the console,and most likely be a blast to play. @McoobabWATP Let's be honest here. Anyone that won't buy a Wii Ubecause of this announcement was likely never going to buy one anyway. They probably won't even get the NX and use the Wii U as their reason for avoiding it. @Kalmaro No, but you don't make a console in a year... They haven't announced the yet, but the PS5 and next Xbox are underway. Well i wouldn't necessarily say everybody, my dads waiting for zelda n a couple of other friends of mine have expressed similar sentiments.